If you’re a freelancer – and especially if you’re trying to get business from your freelance website – you must have a strong, compelling, effective website. Clients will expect to see it, other freelancers will want to use it to connect with you, and it will make your marketing efforts much stronger. Seriously. If you don’t have a freelance website – or if the one you have isn’t bringing you new business – that should be your top priority. But, you can’t just set up any ol’ site and expect it to perform. Instead, you need to set up a professional freelance website and then optimize it for the best results. Ideally, you want people who land on your site to request more information and/or hire you. For example, if you’re a freelance writer, your website is the place where people will build a first impression of you. Then, all you have to do is put together an awesome proposal and you’ve won their business and their respect. 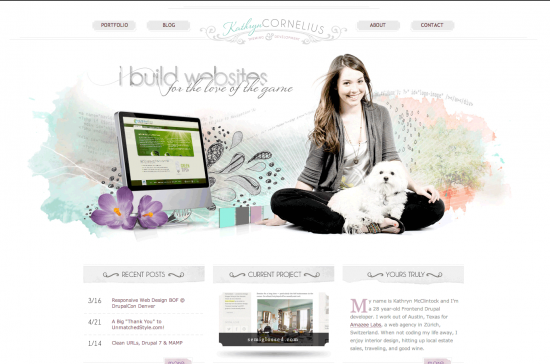 (By the way, you might want to take a look at the website proposal template you’ll find here. Today, let’s talk about how to make that happen. 1. Use a professional, clean header. 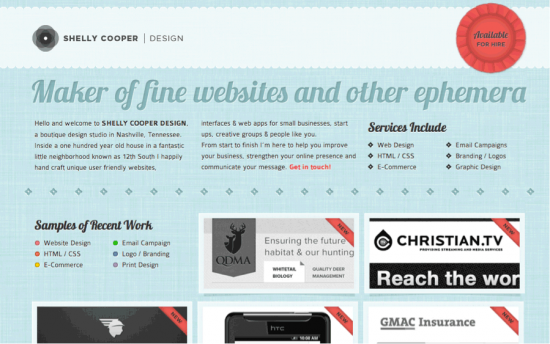 Your header is the first thing a potential client will see when they land on your website. For that reason, it needs to make a great impression. 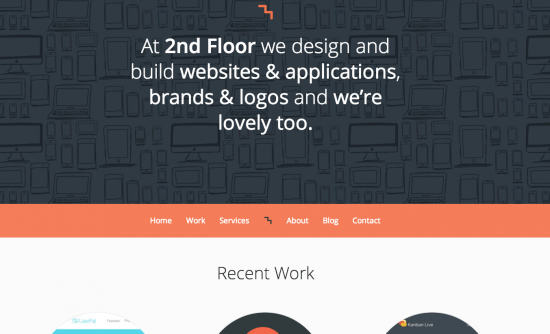 To do so, keep it clean and simple and use your header to capture your visitor’s attention. A header should also deliver a certain amount of information to make the visitor sure they’re in the right place. A professional header typically consists of your business name (or your name if you’re a solo-freelancer), your logo (if you have one), and an attention grabbing graphic, image, or something else to draw the visitor in. See how they kept it clean and simple, but also fun and interesting? Plus, they get bonus points for having a clear message right up front. Clutter in the header is distracting and confusing. 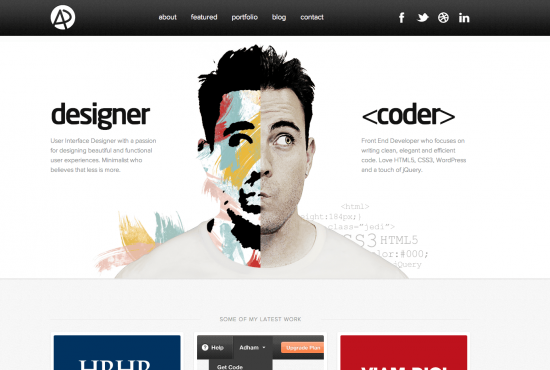 Your header should capture attention to draw the visitor into your site. 2. 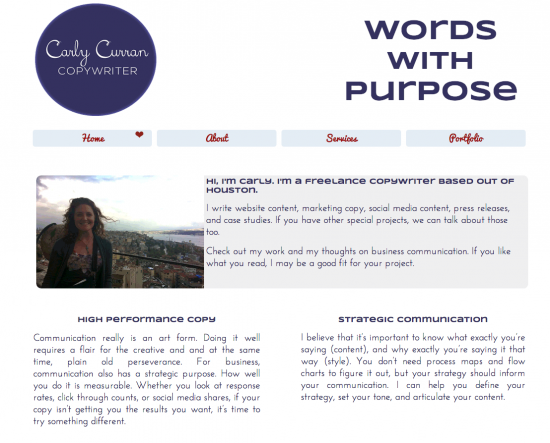 Write a compelling headline for better freelance website conversions. When it comes to freelance website conversion, your headline is the next most important thing on your site. After all, most folks will read your headline, but very few will read more. If your home page is a static page, your headline can be at the top – just under your header and navigation. If you have your most current blog posts as your home page, you can add a headline – summarizes what you do for your visitors – in your header. Note: If your main goal is to capture leads and/or get someone to hire you from your website, make that clear right up front. Explain, “What’s in it for them?” and ask them to take the action you want. Of course, to get more people to read on, write a better headline. Your headline should capture the visitor’s attention, draw them in, and convince them to keep reading. If you need help, here’s a great article on writing compelling headlines. 3. Keep your navigation clear and simple. Also, combine any navigation that’s similar to make exploring your site easier for visitors and increase your freelance website conversion. Aim to have 5-7 top-level pages in your navigation. Any more than that and your visitors may be overwhelmed by the options. 4. Optimize your home page and copy. When it comes to your home page, there are many options. In fact, you could be constantly tweaking and testing until you get it just right. Your headline alone could be tested hundreds of times – and I’m not even talking about the style and placement. Just the wording. That’s why it’s important to follow a few universal tips when you’re first getting started. Then, over time you can test few ideas and suggestions to increase your freelance website conversion. 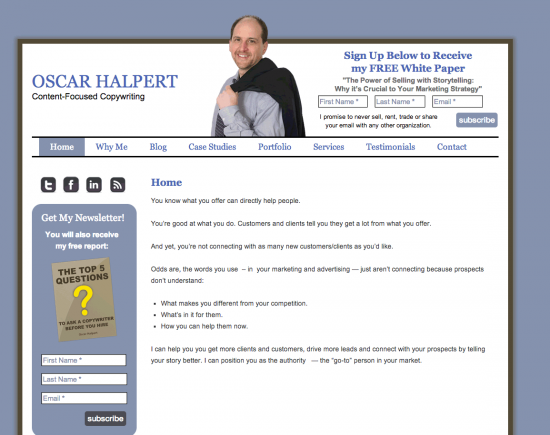 Your home page is also a great place to add some proof – like testimonials with results. If you’re a freelancer and don’t yet have testimonials, use character testimonials for now and replace them as you get real testimonials. See how she clearly says, “Available for hire”? She also has a simple, clean header, headline, copy that speaks directly to her target market, services, samples, and more. When it comes to a sidebar on your freelance website, you don’t necessarily have to have one – like many of the examples above. However, if you do have a sidebar, make sure everything included in it completely supports your website’s goal to get the best freelance website conversion. A sidebar is also a great place to feature a testimonial, one of your favorite projects, or credibility establishing logos to further increase your freelance website conversions. Use a compelling headline on each page. Consider using a nice, professional picture of you on your “About” page. 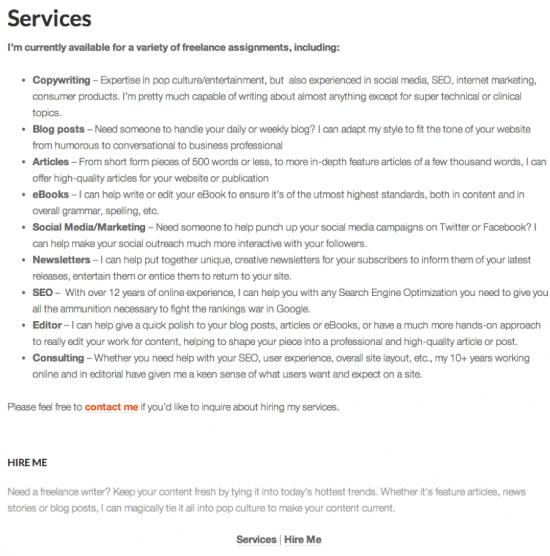 Don’t forget a “Services” page that clearly outlines what you do and how you can help your clients with your skills. Make sure each page ends with a call to action to continue on. Think of this like a maze – you’re leading your website visitors through each page. If you leave them hanging at the end of any page, they might not finish taking the action you want them to take. Don’t forget a “Contact” page … how else will interested clients contact you? Remember, your freelance website can always be improved – and it should be over time. But, if you start with the tips above, you’ll begin with a strong website.